Mount Sinai researchers participated in a two-day workshop on air pollution at the National Institute of Public Health to present and discuss their research, along with key partners from various academic, medical, and public health institutions. 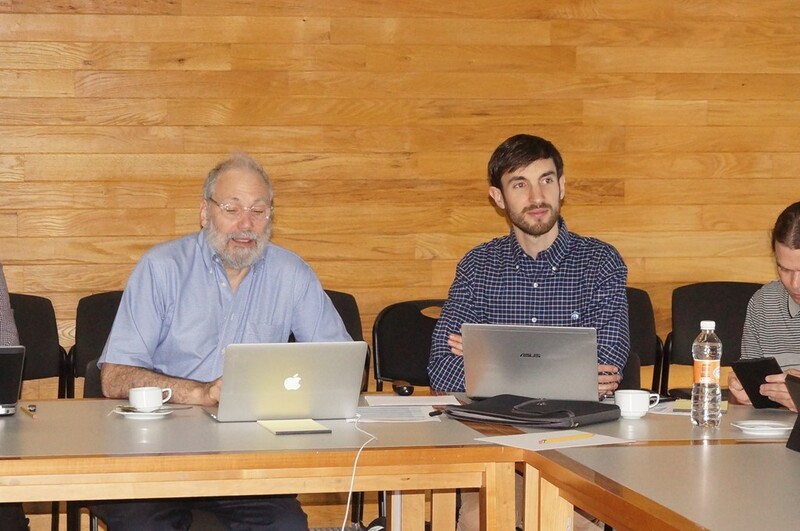 Dr. Allan Just (right), new Center Faculty, recently led a contingent of Mount Sinai and Harvard researchers to Mexico City to discuss air quality and health. This entry was posted in In the News on November 26, 2015 by mountsinaitceee. Dr. Sarah Evans Quoted in Yahoo! Health Article About STINK! On November 27, 2015, a new documentary called STINK! will open in theatres in New York City. The film, directed by Jon Whelan, exposes the ‘cancer loophole’ by investigating toxic chemicals lurking in every-day consumer products. Dr. Sarah Evans, an instructor in preventive medicine at Mount Sinai’s Icahn School of Medicine and postdoctoral fellow at the Children’s Environmental Health Center, was quoted in the Yahoo! Health article about this film. For more information about theatres and showtimes, please visit the STINK! website. This entry was posted in In the News on November 23, 2015 by mountsinaitceee. Dr. Rosalind Wright, TCEEE member, has been appointed to the dual leadership roles of Dean of Translational Biomedical Research and Director of the Clinical and Translational Science Award (CTSA) at the Icahn School of Medicine at Mount Sinai. Dr. Wright leads the TCEEE Phenotyping and Stress Assessment Facility Core (PSAFC) and serves as a Professor in the Departments of Pediatrics, and Preventive Medicine. We congratulate Dr. Wright on this new leadership and encourage you to read more about her work here. This entry was posted in In the News on November 13, 2015 by mountsinaitceee. Dr. Alison Sanders, a postdoctoral research fellow in the Department of Preventive Medicine, was featured in the American Society of Nephrology Kidney Week 2015 press release, which included current kidney health research findings from scientists across the country. Dr. Sanders’ study investigated the effect of lead exposure in pregnancy and in infancy on blood pressure levels in young children. The team designed the study to examine the developmental origins of adult hypertension, which is believed to begin in childhood or even the prenatal period. Findings from this study may have implications for determining when interventions to prevent hypertension should occur. This entry was posted in In the News on November 11, 2015 by mountsinaitceee. 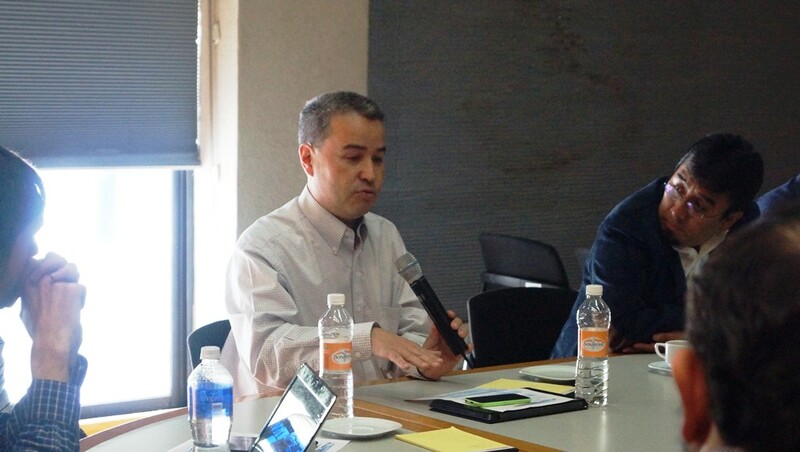 On November 6, 2015, Dr. Homero Harari, TCEEE member, joined U.S. Senator Richard Blumenthal and Nancy Alderman of Environment and Health Inc. to advocate for further investigation into potentially harmful chemicals and carcinogens in crumb rubber filling found in turf fields and playgrounds. 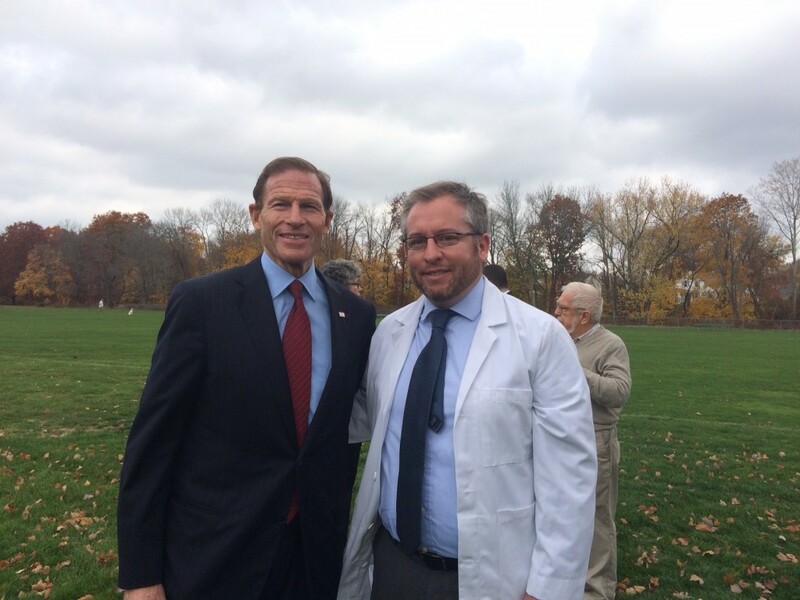 Senator Blumenthal wrote a letter to the U.S. Consumer Product Safety Commission calling for a federal study of crumb rubber to assess potential health threats, and Dr. Harari spoke in support of his proposal at the press event. This entry was posted in In the News on November 9, 2015 by mountsinaitceee. New TCEEE member Allan Just, PhD, recently contributed an article to the NIEHS Global Environmental Health blog. 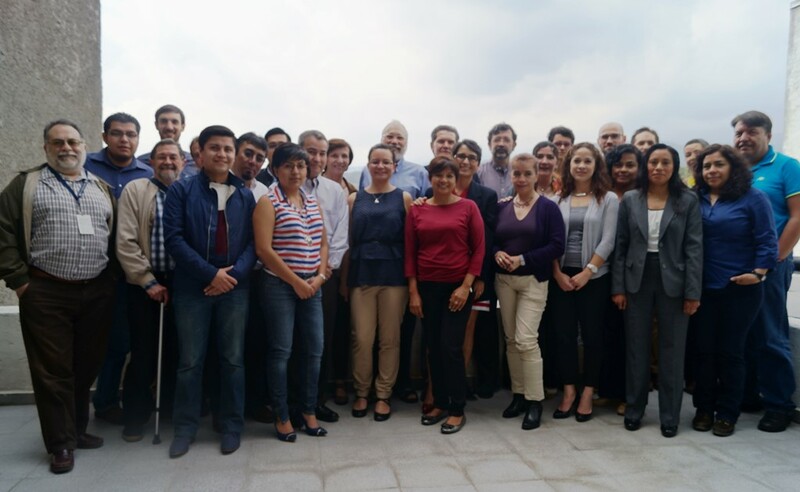 In his post, Dr. Just describes his experience researching air pollution in Mexico City, as well as the benefits and challenges of international collaboration in environmental health. Dr. Just serves as an Assistant Professor in the Preventive Medicine Department at the Icahn School of Medicine at Mount Sinai. This entry was posted in In the News on November 7, 2015 by mountsinaitceee. Dr. Manish Arora, TCEEE member, was interviewed for a news story on environmental factors that contribute to autism. As described in both Spectrum and Slate articles, Dr. Arora’s research using baby teeth is highlighted as a groundbreaking approach to reconstruct chemical exposures that occurred before birth. This entry was posted in In the News on November 4, 2015 by mountsinaitceee. TCEEE member Dr. Joseph Buxbaum is one of 70 new members to be elected to the National Academy of Medicine. Dr. Buxbaum is the Director of the Seaver Autism Center for Research and Treatment at Mount Sinai, as well as the founder and co-leader of the Autism Sequencing Consortium. Learn more about the Seaver Center here. This entry was posted in In the News on November 2, 2015 by mountsinaitceee.